Chocolate Covered Berries. [because we all need chocolate sometimes, right?!] | Eat More Plants. Confession: I love frozen things covered in chocolate. Ok, ok, who doesn’t though? It would be more of surprise if I said I didn’t love covering things in chocolate right? I usually use some good quality dark chocolate or some semi-sweet bakers chocolate that doesn’t contain any dairy. 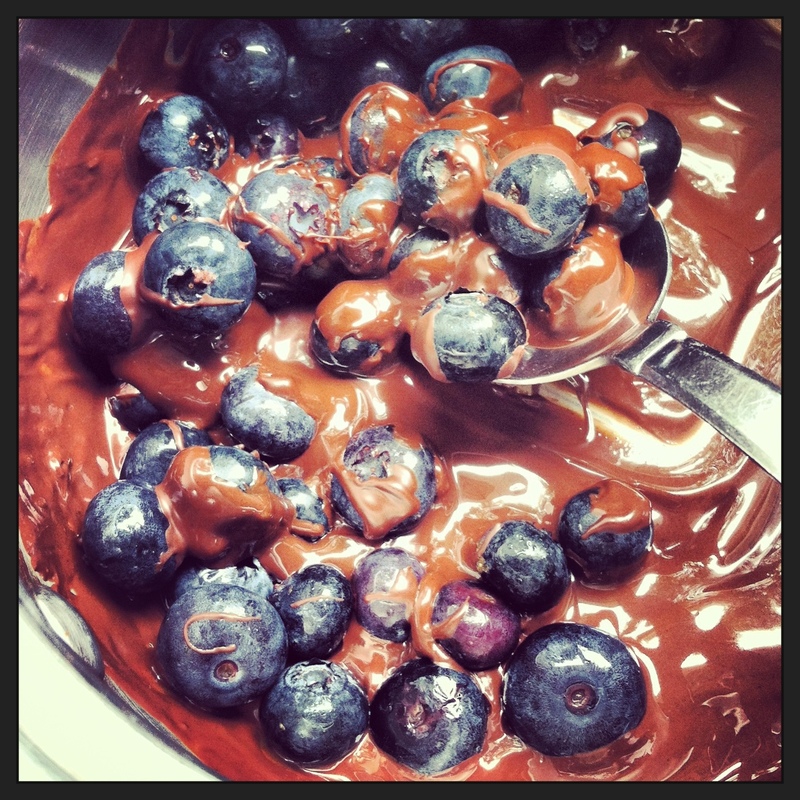 3 or 4 ounces of chocolate will be plenty if you want to cover a cup of blueberries or strawberries (or a cup of whatever). I also add 1 or 2 teaspoons of coconut oil to prevent the chocolate from hardening up before I’m done coating everything. Melt everything together over a double boiler or the lowest heat possible on your stove. You don’t need to melt the chocolate completely; once two thirds of the chocolate is melted remove it from the heat and stir until its completely melted. Drop some berries in the chocolate, a few tablespoons at a time, toss them gently to coat and use a fork to scoop them out so that any excess chocolate will drip back into the pot. 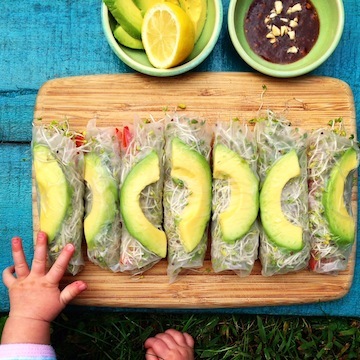 Lay them out on wax or parchment paper and put them in the freezer for at least 20 minutes. I like to do blueberries in clusters of 4 or 5 together. Strawberries work best individually. 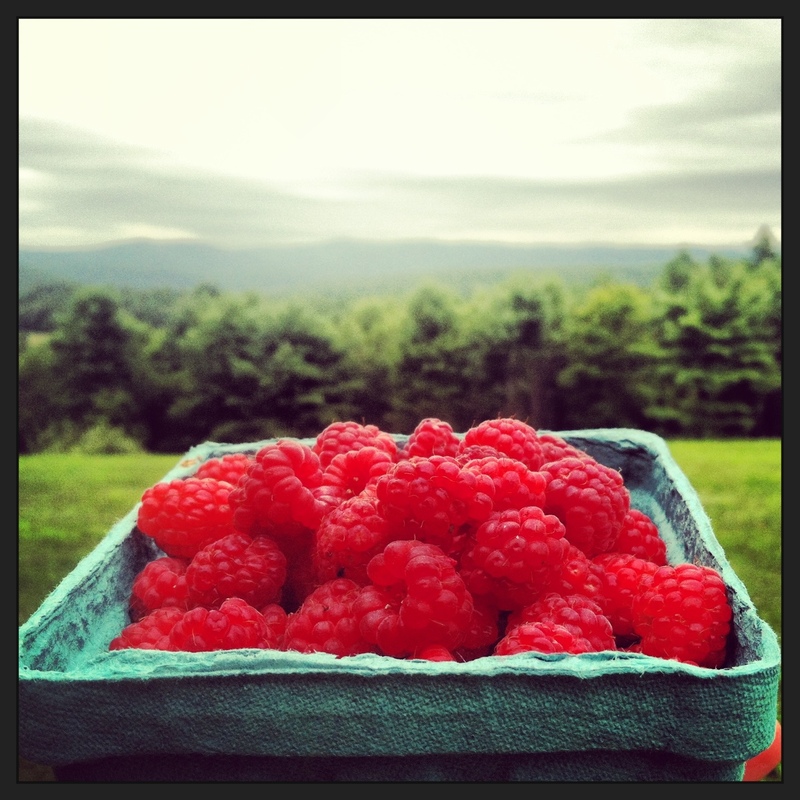 I haven’t done raspberries yet and we just picked some at our neighbors house…! That raspberry shot is gorgeous.